Home / Academic Service News / The Center for Scientific and Technological Equipments Walailak University Science Camp The 35 students Science Math Ability Program from Kanarasdornbumroong Yala School On 2 – 4 October 2018. The Center for Scientific and Technological Equipments Walailak University Science Camp The 35 students Science Math Ability Program from Kanarasdornbumroong Yala School On 2 – 4 October 2018. The Center for Scientific and Technological Equipments Walailak University. Organized a science camp To 85 students of SMTE project from Phuket Wittayalai School on 6-8 March 2019. The Center for Scientific and Technological Equipments Walailak University. Organized a science camp for students from the Kanarasdornbumroong Yala School, grade 1 and grade 5, Science Math Ability Project (SMA), 64 people on 2-5 March 2019. The Center for Scientific and Technological Equipments Walailak University Science Camp The 35 students Science Math Ability Program from Kanarasdornbumroong Yala School On 2 – 4 October 2018. At Science and Technology Building This activity allows students to learn from their own experiences and practice them, with the help of the scientists. It consists of The body of knowledge is as follows. 1. Body guard. 2. Close the case file. 3. My sperm and urine. 4. Dissection frog. 5. Miracle genetic material. and 6. See stars. On this occasion, we have collected some photos which can be seen from the link below. Previous The Center for Scientific and Technological Equipments Walailak University Science Camp There are 120 students from Suratthani 2 School On 1 – 2 October 2018. 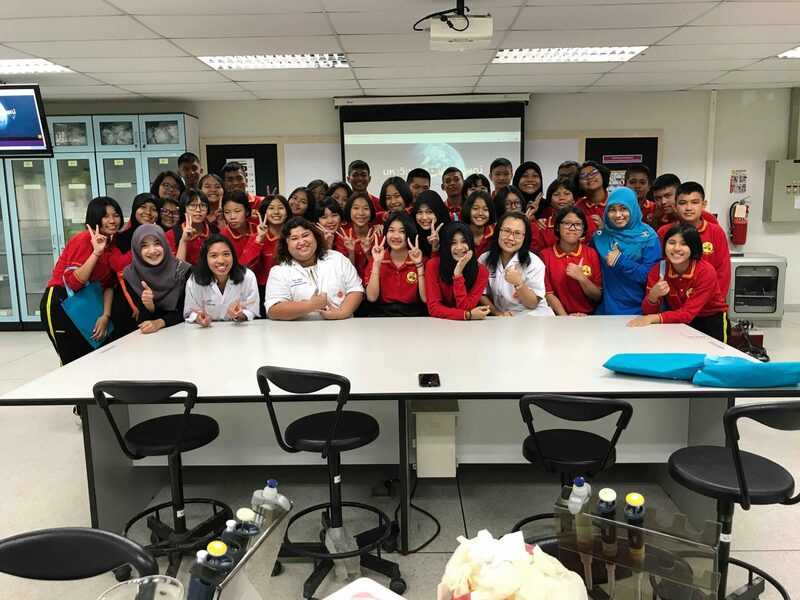 Next The Center for Scientific and Technological Equipments Walailak University Science Camp To the 40 Health Sciences students from Benjamarachutit Pattani School. On 7 – 10 October 2018.